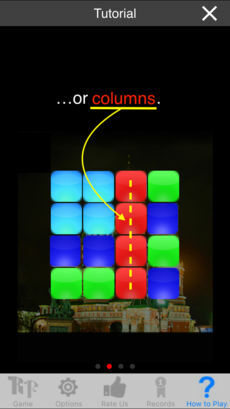 "RussPack is an unique combination of Tetris and Rubik's Cube making it the most addictive game you've ever played!" 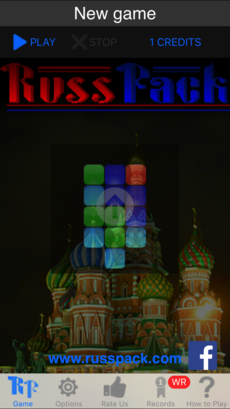 Included as most addictive game in the first edition of MSFT Windows XP Plus pack under the name of "Russian Square"
RussPack is a diabolical color matching game providing a powerful workout for your mind! It allows you to test your mental fitness and compete against players all over the world! Maybe you have got what it takes to become the new World Champion? 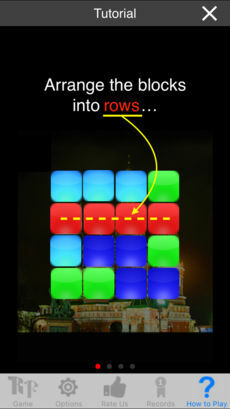 Feel the burn as you race against time to clear the board by matching rows and columns. Catch your breath before you move on to the next level which offers even harder challenges! Your abilities to make split second decisions and adapt to constantly changing environments will be seriously improved. After a few rounds of this game mode you'll be prepared to fly a fighter jet! Prefer deep strategy over mind blowing action? Play the game by trying to minimize the number of moves instead of racing against time. This lets you really concentrate on each move without feeling the pressure of time. How far ahead can you think? Will you be able to anticipate all the consequences? Can you find the shortest route? 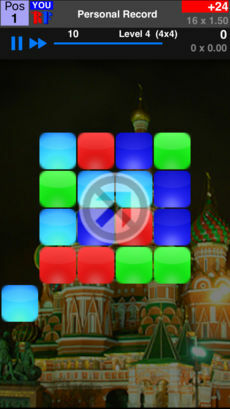 You will have to bring all your strategic skills to master this game mode! You'll get constant feedback on how you perform through your estimated position in the world records table. Make a good move and you will move up in the table, make a bad move and you will move down! This instant feedback on how you compare against the top players of the world really adds a new dimension to the game. 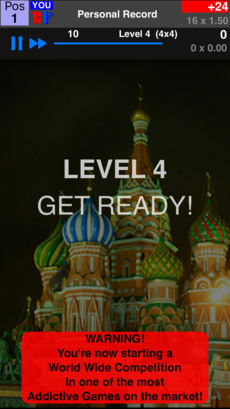 Compete against yourself, your fellow countrymen or - if you are really good - people from all over the world by downloading and submitting your scores to the World Champion Records Table at www.russpack.com directly from within the game!